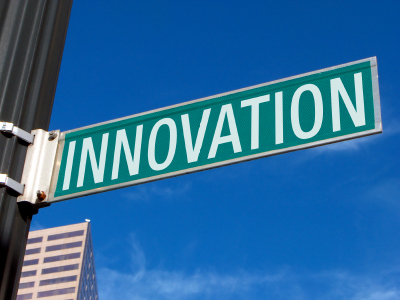 It’s not the first time I speak about innovation on this blog, mainly with communities. There is a lot of other possiblities to roll out an open/social innovation program. Most of the time one way is selected by a company, while they are complementary and do not fully meet the same need. Some are occasional, some permanent, in a logic of stock in a logic of flow… Here is 4 approaches that I usually speak less. First the most common one, the top down approach set up by the company for a particular issue. Setting up collective brainstorming with different tools : innovation plateform, post-it, open forum… Whatever the technic or the tool, the main idea is to create a context to help the employees to produce ideas, thinking out the box, co-producting and at the end propose many new ideas (even better if you can work with external stakeholders). Then a decision cycle can be set up to select those that may lead to pilots. We are more in a logic of breakthrough innovation. Unlike the previous example, even if the approach is always participatory, this one is in duration and organized bewteen peers. It’s a collaborative approach to strengthen knowledge management, through the establishment of an enterprise social network and the facilitation of communities of practice for instance . Usually there is not a clear deliverables expecting from this system, even if there is a lot of contents produce like the building of guidelines. Collective intelligence spreads in the whole organization. It’s a cycle of continuous improvement, incremental innovation like the top-down one is organized in a specific context . You set up an ideation process ( the good old suggestion box ) dematerialized or not to involve the employees of the company. The two best examples are the Kaizen ( Japanese quality circle ) or the open innovation where employees are get incentive by various techniques to share their ideas for improving a process, the organization or a product. And if we go further, we develop an innovative culture linked to an entrepreneurship spirit on this type of subject. In this latter case, it is close to the previous model more bottom up . No longer you mobilize your employees, but your customers, prospects and partners. We are in a process of crowdsourcing. As P & G says, it’s like having guests around the table for the Monday morning brief. Again two possibilities, a temporary approach to solve an issue , or an ongoing process of improvement for products or services. Ce contenu a été publié dans innovation, management 2.0, Post in english par Anthony Poncier, et marqué avec management 2.0, open innovation, social innovation. Mettez-le en favori avec son permalien.